This forecast extends only to 8am EDT on Sunday. A foot of rain is expected by then in coastal North Carolina. 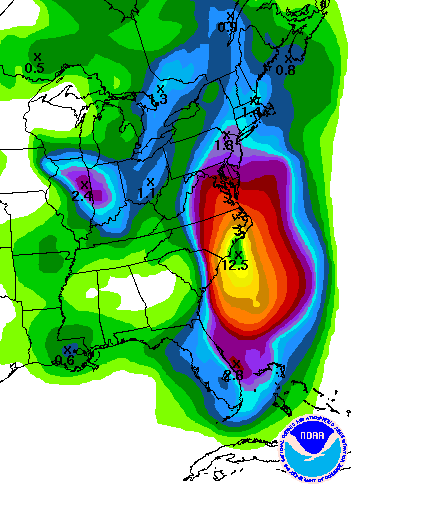 As the storm moves north, there will be a threat of very heavy rain in the Middle Atlantic states and New England. UPDATE: 9:15AM: AccuWeather has an excellent summary of the threats to NJ-NY and New England after first landfall.